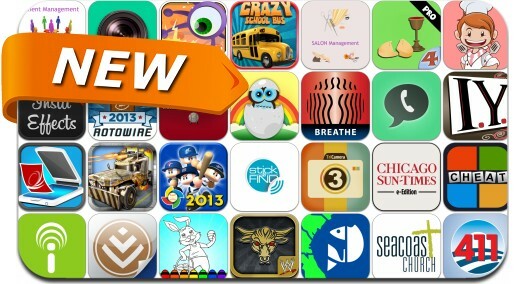 iOSnoops is constantly on the lookout for new apps, and here are 28 iPhone and iPad apps that were released recently. This new apps alert includes Asia Food Recipe, Cling, PowerPros 2013 World Baseball Classic, PhoneTag, Mobinnet, WWE Presents: Rockpocalypse, Monster Truck Crazy Run, StickNFind and many others. Cheats for 4 Pics 1 Word.